Custom shortcut for your PC on your phone. Create custom computer macro shortcuts and launch them through your device. 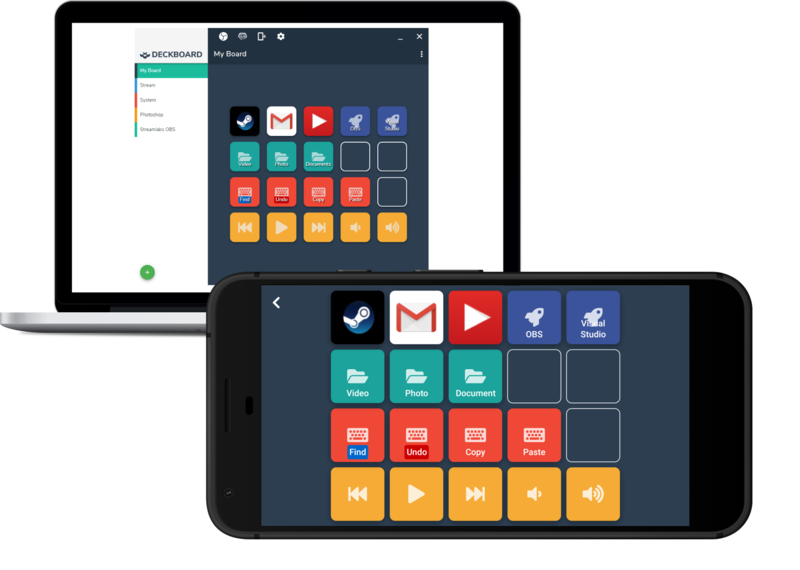 No more windows switching to open the folder or website, get Deckboard to simplify them and maximize your productivity! With OBS Studio and Streamlabs OBS supported, bring Deckboard as your personal streaming companion tool! Connect your computer to your device through local WiFi connection by entering IP address or scanning QR code. Easy connect through local WiFi connection by entering IP address or scanning QR code.